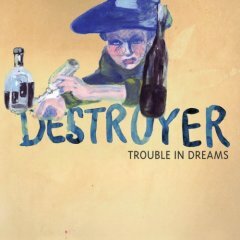 I dug up a couple Destroyer tour dates today, including one at the Music Hall of Williamsburg on April 22, 2008 and the Bowery Ballroom on April 23, 2008. I’m sure we’ll see a few more shows pop up in the next little while. Tickets for the MHOW and Bowery shows go on sale Saturday, Feb 2 at noon. UPDATE: It seems that Pitchfork dug up the rest of the dates this afternoon. I’ve filled in the gaps and put everything after the jump.